T3's neck works ok for a while but ends up coming loose or binding after a while every time I use him. The same thing happens for his rear legs. I am going back to redesign them both for more long term, heavy duty use. Got to love prototyping :P Everything should be working 100% for CV. Doing the final painting on R2-CM is at a stand still till the weather warms up. His periscope works fine now but is still way to heavy. So now I am going to make a new one out of lighter materials. I will retrofit the old one for some lower body gadget maybe. I always wanted to do this but it was way to cold to bring everything out. Got a little more done on the foot shell, now to make the back side. ...here it is. Not the prettiest looking thing but it works perfectly. I got all the batteries for my robots together and charged. After realizing how many different types I have for just regular use, I have came to the conclusion that I need to upgrade my portable GONK power station to accommodate them all and make the GONK easier to transport with how heavy it is getting. I also started to make some temporary foot shells for Patches. I am going to try a few ideas out with them then make a master pair later. 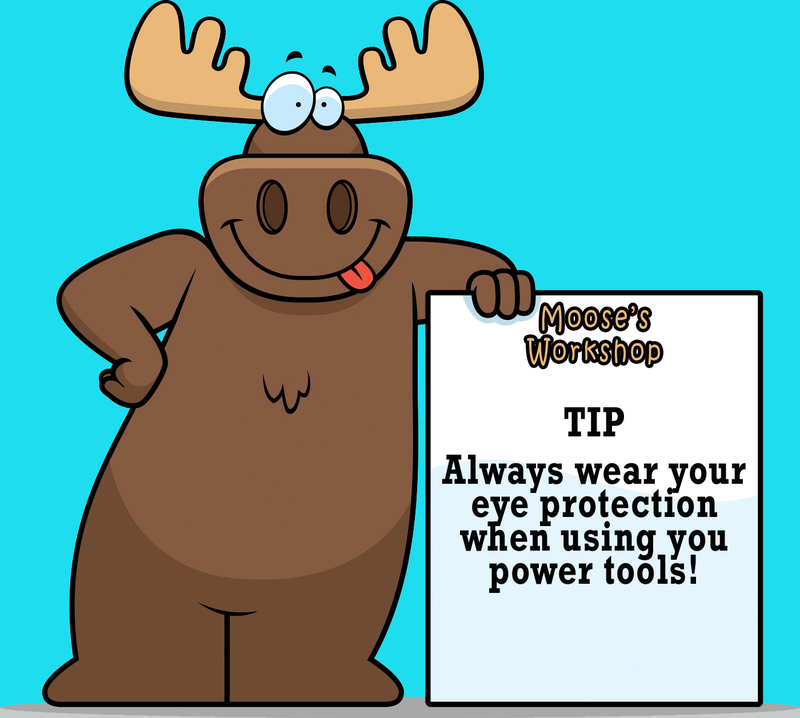 I am sure a few of you are wondering "Why did Moose stop posting?" I have been taking a break from Droid building and Star Wars in general as much as I can for the past 7 days so I catch up on lifes other important things and spend more of the holiday season with family and friends. Starting tomorrow I will start doing some Star Wars stuff but not to much until after the holiday. Jawas running on a rampage. Hundreds of people wanted pictures. 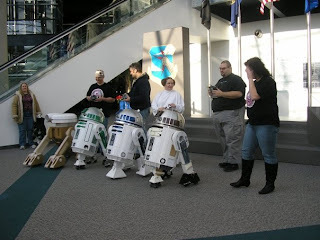 R2-Central members with their droids. Vader! That is not your X-1. What a busy night even with a bad snow storm coming through. We did not have a lot of time for personal pictures but here are a few that Denny took. Jen, me, Teresa, and Patches. Behind the scenes was fun to see. No that is not your master R2. C-3PO! it is you! It is you! Tons of events this week! Three events this week! 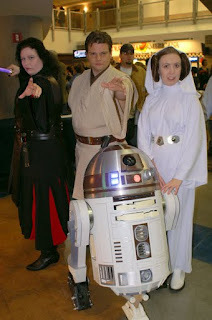 The Star Wars Concert! SAC! Big Brother today! Have not had time to put up pictures. Here are 3 from SAC yesterday that my friend Dawmer took. 4 droids all in a row. This is Steve's green ones debut as well as my T3. 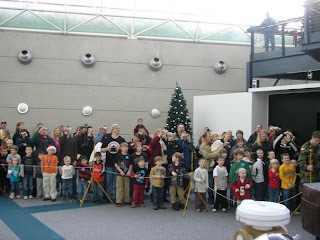 Even with all the snow people came to see Santa, the 501st, and R2-Central. 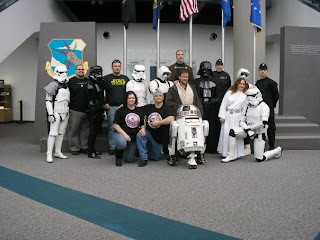 Group photo of some of the 501st, Rebel Legion, and R2-central members. I got most of the neck done but not all. Here is yet another video of my work. Started on T3's neck articulation. Most of the hardware is in place. Now I just have to hook up all the electronics. Naturally now that everything on T3 is running together nicely I needed to tear him apart for the next addition. Time to articulate his neck! I am going to make all the hardware for this from scratch as there is nothing close to what in need on the web. I am also going to start on his welding arm :) I probably will not have it done for event time but I will try. Jen was watching T3 while i drove him around yesterday and noticed a small sag in his rear legs. Today I took a look and seen it myself. I flipped T3 over and noticed that I never finished putting in all the structural hardware from when I mocked everything up. I went to the store and got everything I needed to finish putting it together the right way. A lot of work to do that you wont see but now T3 is moving even better. Thanks hon for spotting the sag. I also took the time to finish welding his innards that were only tack welded. Next I will work on the neck articulation for T3. With a little help from my friends I got the last bit glued on to T3's head. Got one small stress crack but it should be ok once bondo is applied. Hopefully my piston will be here soon so he can move again without his legs flopping all over now that his old leg positioning rod is taken out LOL.. I also got his sounds temporarily working on his system that came on a shirt. I still need to make it wireless with a 12 button remote system. It is getting close to just being detail and finishing work.